The planet Kessel is marked by stark contrasts: on the verdant side lives a royal family that has ceded away the far side of the planet for rampant mining operation. Criminal enterprises dig deep into the planet for valuable minerals, and the Empire keeps a close watch on what comes out of depths of Kessel. 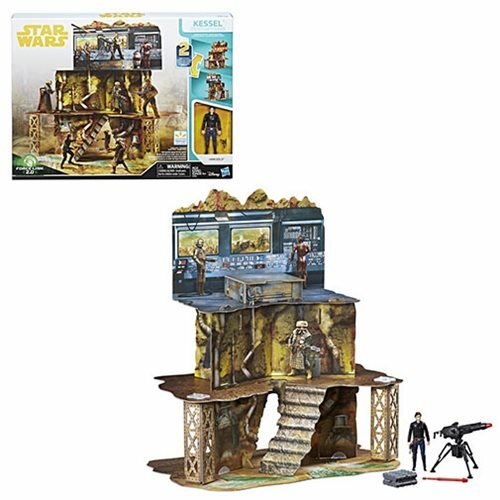 The Star Wars Solo Force Link 2.0 Kessel Mine Escape Playset - Exclusive is a massive cardboard structure with accessories and Han Solo, ready to steal some fuel for his future riches. 3 3/4-inch scale playset includes figure, blaster, 5 accessories, and instructions.